Before the anime version of Yoru Sumino's novel “I Want To Eat Your Pancreas”, there was a live action adaptation with a slightly different title. It was called “Let Me Eat Your Pancreas”, starring Minami Hamabe and Takumi Kitamura in the lead roles. Red Dot Diva caught the tearjerker during a long haul flight, and thought it was engaging even though typically sentimental in that Japanese way. What is it about teens dying from terminal illness in several Japanese tragedies anyway? The animated film “I Want To Eat Your Pancreas” directed by Shinichiro Ushijima is no less sentimental. In fact, Red Dot Diva found it overly dramatic, and repetitive in many instances (it seems that the novel was like that too), making the movie longer than necessary. Still, it had its moments, and the odd couple's sentiments about mortality, love and friendship were sincere and heartbreaking. 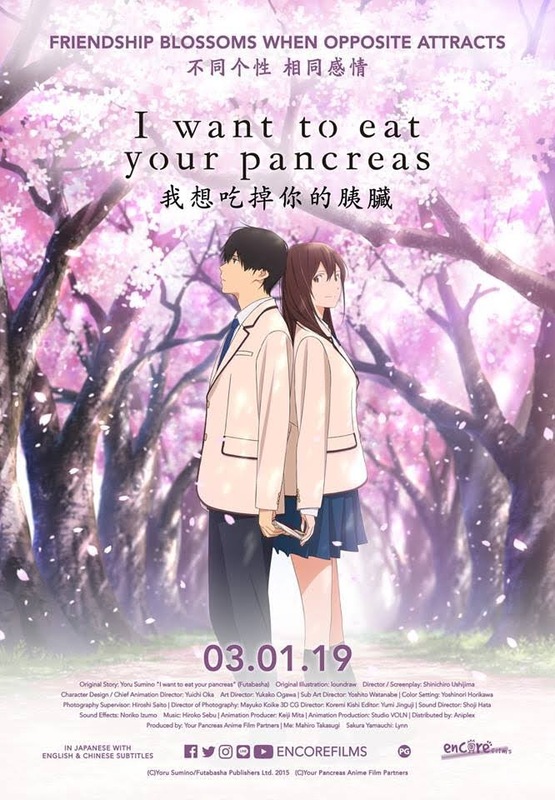 As you can probably guess by now, the bloodthirsty title, “I Want To Eat Your Pancreas” is not a horror movie or a film about the zombie apocalypse. Nope, it is actually a romance story about two people of opposite personalities. Sakura, a bubbly girl suffering from a life-threatening illness, decides to make use of her limited time on earth completing her crazy bucket list of things to do. Not wanting to become a shadow of her sickness, she strives to it a secret, and during her journey through life, she decides to befriend a seemingly boring, moody, anti-social guy from the same school that no one seems to like, and whose name remains a mystery till the last few minutes. Lots of things happened in the Season 7 finale of HBO's award-winning series "Game of Thrones". What is the repercussion of the liaison between Daenrys and Jon Snow? Is Tormund still alive? Will there be a brother vs brother, Drogon vs Viserion showdown? Who will sit on the Iron Throne when the series ends? Unfortunately, it will be more than a year before fans will get to know the answers. The final and 8th season of "Game of Thrones" will air only in 2019. 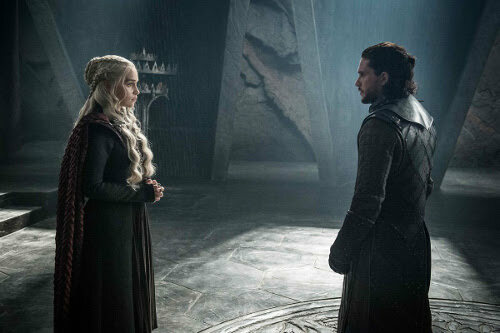 The actual premiere date has not been announced yet, but Season 8, which consists of 6 episodes, will air on HBO Asia the same time as the U.S. telecast. The wait seems interminable, so what can fans do in the meantime until Season 8 premieres? Uh-oh!! An heir apparent of Castle Corp named Marcus Carabas has gone missing! Black Cat Detective Agency has been called to solve the mystery of his disappearance and save Marcus before something furry terrible happens. On 2 and 3 September 2017, Orchard Gateway is the setting for a whole mew, multiplay game called "Puss in Boots: The Retail Romp", which means players are not confined in a room like other escape games. As players switch on their detective brain cells, the game's clues (with many red herrings, as to be expected!) will set you pitter-pattering around all four floors of the mall in a highly interactive manner. Neo Tokyo Project, the mastermind of this mystery romp, has set aside a goodie bag (worth $35 of vouchers and products, including including a $10 voucher from i.t. ; a $10 voucher from Outback Steakhouse; $10 voucher from Porcelain Aesthetics; a free drink voucher from Mico Cup - just to name a few!) for each player. 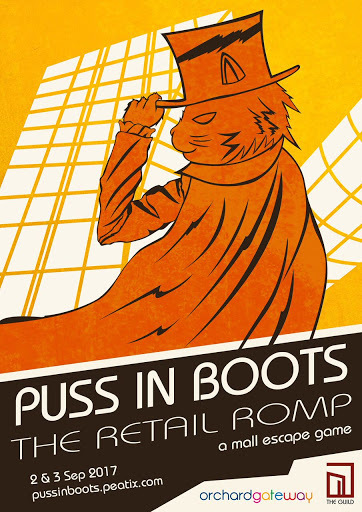 Click here if you can sign up for Puss in Boots: The Retail Romp. There are 3 game sessions per day. Each ticket is $20 but the goodie bag is really good, so it offsets the cost of participating in the game. So, why not gather a group of friends with great Catitude, and have a Pawsitively memorable few hours playing "Puss in Boots: The Retail Romp"?? Well, here's a piece of good news! Red Dot Diva has 2 tickets to give away, thanks to Neo Tokyo Project ! Here's how to join the online contest. 2. Share the contest post on your timeline. Please ensure the post is public. 3. Answer the question: What's the name of the missing heir apparent in "Puss in Boots: The Retail Romp" game? 4. Open to Singapore residents only, of age 16 and above. 6. Two winners will be selected by Saturday, 2 September 2017, 6 PM. Winners will be notified via Twitter or Facebook Message/ Comments section. 7. Winners must be willing to email Red Dot Diva with more information to facilitate the prize giveaway. 8. Red Dot Diva reserves the right to make changes to the contest terms and conditions, as well as replace or change prizes at any time without prior notice. RDD Wonder Woman Day Giveaway: 4 Sets of Posters, Paper Tiara/ Bracelet Sets and Pins! Did you pop by GnB Comics today for Wonder Woman Day? Red Dot Diva was not able to be there when the shop opened at 12 PM but she heard that there was a good sized crowd waiting to celebrate the occasion! The first 200 folks at GnB were also able to pick up a "Wonder Woman" movie poster each! Red Dot Diva did manage to drop by the shop after 2 PM to buy a Wonder Woman comic (if you are wondering, it's the anthology "Sensation Comics Featuring Wonder Woman Vol. 1" by Gail Simone, Ethan Van Sciver and many more creators) as well as collect her fun freebies. If you were not able to make it there today, Red Dot Diva has four sets of "Wonder Woman" movie posters, paper cardboard tiara/ bracelet sets and pins for to give away! Thank you to GnB Comics for sponsoring these wonderful items. 3. Tweet or post a photo of yourself together with your own real life Wonder Woman (i.e. it should be an actual person!) and elaborate as to why she is a Wonder Woman in 35 words or less. 4. Do ensure that the person in your pic has given you consent to post her photo. 6. Winners will be chose by Thursday, 8 June 2017, and notified via Twitter or Facebook Message/ Comments section. 7. Winners must be willing to email Red Dot Diva with more information (e.g. mobile number) to facilitate prize collection. Prize collection will be at Shaw Centre during working hours from Monday to Friday. 8. Red Dot Diva reserve the right to make changes to the contest terms and conditions, as well as replace or change prizes at any time without prior notice. At a small "Ghost In The Shell" fan event last Friday, 17 March 2017, Red Dot Diva had the chance to watch a 14-minute sneak peek of the live action movie in 3D. 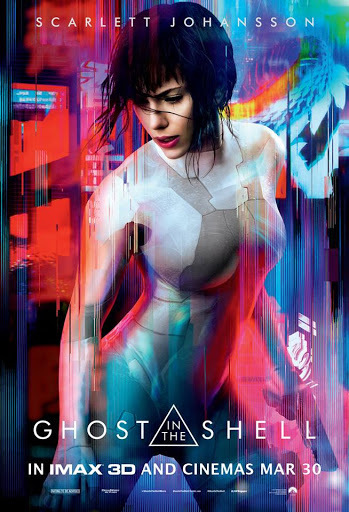 Despite the furore over the casting of Scarlett Johansson as Major (which is based on Motoko Kusanagi in the manga by Masamune Shirow) and "whitewashing" of the popular franchise, the film looks visually stunning. It took just a few minutes for Red Dot Diva to feel immersed in the near-future cybernetic world, and she wished it was a full movie screening instead. "Ghost In The Shell" is a story about a cybernetic anti-terrorist field commander Major, who is determined on going after a hacker called The Puppet Master. There may be a larger purpose to The Puppet Master's plans to take control of Hanka Corporation's artificial intelligence programs, and Major begins to uncover her past and question about her own existence. For the live action movie, instead of The Puppet Master, the main enemy is cyborg ghost-hacker named Kuze (Michael Pitts). Or rather, Kuze will a mix of the two anime characters in the upcoming film directed by Rupert Sanders. FCBD 2016: RDD Online Contest To Get Comic Book Fans In The Mood! Free Comic Book Day (FCBD) 2016 is barely two weeks away! The yearly event where geeks can nab free comics at participating local stores is held on the first Saturday of May. Which means that on 7 May, Red Dot Diva and her geek buddies will be going about different shops getting comics for free. It is a great way to get introduced to new titles or creators, and fans are already strategizing on what's the optimal way to get these free comics! Details of what's happening at each store have yet to be announced yet. However, you can LIKE the FCBD Singapore Facebook Page and look out for updates. If you will be joining in the fun for the first time this year, check out what Red Dot Diva and her friends did for FCBD last year. Following the tradition in the last couple of years, Red Dot Diva is holding an FCBD Online Contest! 1 selected winner with the most interesting entry will get to win some very nice swag. STGCC's Captain America Festival at Marina Bay Sands - Where Team Money Wins! What did Red Dot Diva tell you? It's always a win to join #TeamRichGuys, coz when you do, you'll get the flow of monie$$. 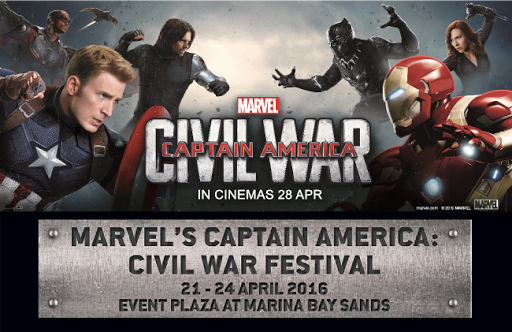 And with that, you can pay for the best option(s) to meet #TeamCap at Marina Bay Sands this coming Thursday, 21 April 2016! The team behind STGCC, in partnership with Disney and Singapore Tourism Board, has organized a host of activities for fans called the "Marvel's Captain America: Civil War Festival", that includes the South-East Asia Blue Carpet Premiere for the "Captain America: Civil War" movie. The 4-day long festival held from 21 to 24 April 2016 at the Marina Bay Sands' Event Plaza at the Promenade, also offers three festival packages. Two of these give fans the chance to meet the #TeamCap cast members who will be attending the premiere. The most expensive option, called the "MBS Superheroes Universal Pack" costs a whopping SGD 1,288. WHAM! POW!!! Piggy Bank Broken. Join AsiaPop Comicon's Contest and Win A Chance To Attend the Hollywood Red Carpet Premiere of Marvel's "Captain America: Civil War"! Now that WB Pictures/ DC Comic's battle of the superheroes movie "Batman v Superman" has been released at the theatres, fans are now eagerly looking forward to the other team showdown which will happen in the Marvel Cinematic Universe. 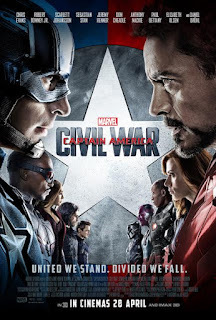 As a follow-up to the last Avengers movie "Age of Ultron" as well as "Captain America: Winter Soldier", the next Marvel superheros movie "Captain America: Civil War" will see friends become foes. 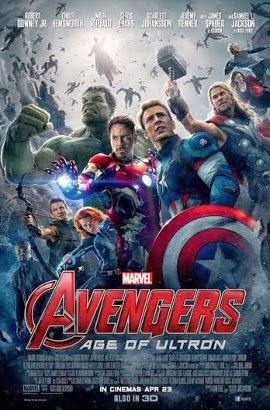 Upon facing a call for accountability from the collateral damage caused by the battles with the aliens, Ultron, plus the costs faced by yet another international incident, Tony Stark/ Iron Man pushes for a government body to oversee the actions of the superheroes. In an effort to protect his friend Bucky coupled with his desire that the superheroes should be able to protect humanity without restraints, Steve Rogers/ Captain America goes against Tony Stark, causing a fracture between the former team members. Batman v Superman: Dawn of Justice - Singpost & DC Comics Super Heroes Cafe Zap Out Cool Stamps & Themed Menu Items! As the promotional machine revs up for the release of WB's "Batman v Superman: Dawn of Justice" movie in Red Dot Island, fans and movie-goers are able to enjoy some cool stuff offered by two other promotional partners of Warner Bros. Consumer Products, namely Singpost and DC Comics Super Heroes Cafe. Yesterday afternoon, Red Dot Diva had a sneak peek of what both companies have up in their sleeves as they revealed the goodies which will be made available for the fans. In recent years, Singpost has been actively in touch with the pop-culture scene and has launched several myStamp collections for different movies, brands and characters. For the "Batman v Superman" movie tie-in, Singpost will be releasing a limited edition 12-page hard-cover MyStamp collection consisting of 3 different stamp sheets and a retractable lanyard. Are you one of those rooting for Leonardo diCaprio to finally get his Oscar this year? Or do you usually favour the dark horse of the list, like Bryan Cranston for his lead role in the autobiographical movie "Trumbo"? Perhaps you aren't so bothered so much about the winners and losers but love to go googly-eyed on the fashion choices made by the celebrities as they walk down that long red carpet. Celebrities, their guests and entourage are set to descend on Hollywood's glitziest awards event of the year - the 88th Academy Awards (or better known as the Oscars Awards) - tomorrow evening at 28 February U.S.A. time. Comedian Chris Rock is the host for the ceremonies. With the controversy about the lack of diversity plaguing this year's Oscars, Red Dot Diva is most curious to see how many more folks Chris Rock will insult while he's on stage. If you have already taken leave from work and planned for a Monday morning Oscars watching party, HBO Asia will be bringing to you the award show LIVE from the Dolby Theatre® at Hollywood & Highland Center® in Hollywood. There is something special about old-fashioned letters and stamps. Enveloped within a hand-written note or a letter scripted using a manual typewriter is the sense of anticipation and touch of romance layered with an air of mystery, invoked by the postage stamps of various places which one have not yet been. The Singapore Philatelic Museum (SPM), located at a historic building near Fort Canning, pays tribute to the world of stamps and mail with archives of philatelic material. In recent years, the museum has rebooted itself by curating some of its marketing and exhibits by giving it a pop-culture slant. One of its current exhibition is a ode to the popular syndicated comic strip "Peanuts" and its creator, Charles M. Schulz and launched in conjunction with "The Peanuts Movie" which opened at local cinemas last December. Incidentally, 2015 was also the 65th Anniversary of "Peanuts". If you are a fan of the comic strip, you would already be aware that a whole lot of letter-writing is featured in the comic, with many of the characters interacting with family, friends and yes - even Santa - through snail mail. So, it is terrific that SPM is hosting the "With Love from Snoopy, Charlie Brown & the Peanuts Gang Exhibition", by bringing this aspect of the comic strip to life. STGCC 2015: Time to Flex Those Muscles Again! 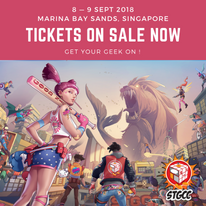 It's the STGCC Biceps Instagram Contest! The Glam Bloggers Alliance's Instagram Contest held at during last year's STGCC was so much fun, that they have decided to run one again this year! Attendees of the convention can pump up their biceps and FLEX to take part in the 2nd edition of the STGCC Biceps Instagram Photo Contest! This time, there will be a special Bonus Round, with the help of the team of Global Beards. Pose a selfie or pose with a friend or STGCC guest showing at least one arm’s biceps in the photo. Three of the most creative interesting posed photos with caption wins. Note: If you are posing the photo with someone or having someone to pose in the pic, please do remember to ask the person for permission to be included in the photo. Stalker pics will not be accepted as a contest entry. Celebrate SG50 at The Fullerton Hotel with a Gorgeous 3D Light Show! The Red Dot Island's 50th Birthday is next weekend, and there is already a long list of free SG50 activities and places of interest for locals and tourists to join in the big birthday bash. Red Dot Diva says you can add one more to your list - the very special SG50 3D Light Show at the Fullerton Hotel, a heritage building with a 87-year-old history. The original landmark, the Fullerton Building, was constructed in 1928, and starting from today 1 August, the grand old lady will be dressed in fancy colours for 9 days. Last night, Red Dot Diva was invited to a preview of the light-up called "A Celebration of Our Heritage". She had mistakenly thought the registration was at the hotel itself, and when she could not find any signs leading to the event, she asked for help from the nearest hotel personnel she could find. 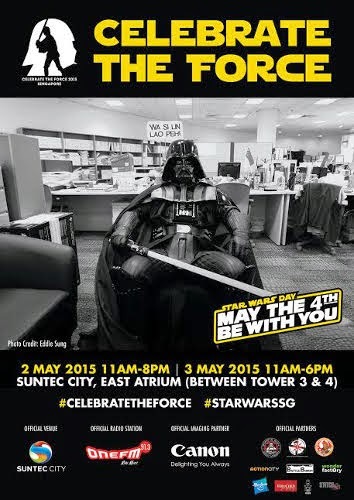 Celebrate the Force Early for Star Wars Day - This Weekend at Suntec! May the 4th is international Star Wars Day! With that actual date falling on a work day, when most Imperial, Rebels and intergalactic species of various realms busy doing their respective jobs, celebration will come a little earlier on Red Dot Island. To connect deeper with the Force, head down to a 2-day event at Suntec, called "Celebrate The Force". The first 100 people to attend the event get an exclusive Star Wars goodie bag. So do head there early! Where You Can Nab Those Freebies on FCBD 2015! FCBD (Free Comic Book Day) is a day away!!! This year, participating shops have been a little late in their respective announcements, plus there aren't any special overseas guests heading to Red Dot Island for the weekend. However, Red Dot Diva has a rundown of who's giving out what (other than FREE comics, of course!) this coming Saturday, 2 May. 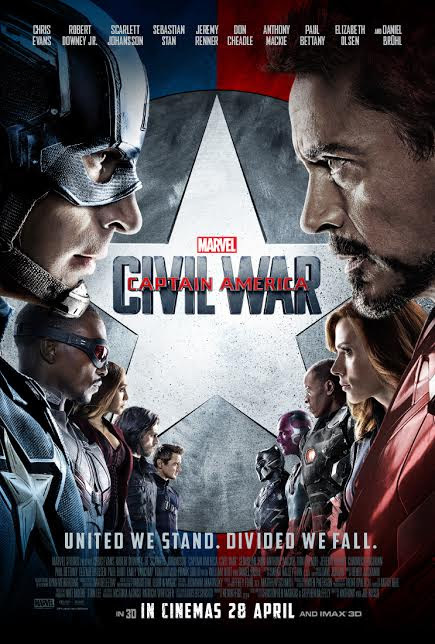 Comic book geekdom has been getting more and more mainstream, thanks to popularity of superhero movies and TV shows. Red Dot Diva has noticed that the number of people participating in FCBD has grown significantly with each passing year. The free comics given out on FCBD are not unlimited in supply, so they do run out in some places quicker than one can imagine. Therefore, if one is intending to set aside Saturday especially for an island-wide FCBD fun-run, DO plan your schedule carefully! Red Dot Diva and GnB Comics FCBD 2015 Online Contest! FCBD is creeping up closer and closer. The yearly event falls on 2 May, Saturday this year and fans as well as the public can collect free comics at some hot spots in Red Dot Island. One of these venues is GnB Comics. For the second year, Red Dot Diva and GnB is running an online contest, where 1 randomly selected winner with the correct entry will get to win some very nice swag. The contest will run on Red Dot Diva's Facebook page from today, 22 April to 29 April 2015 (9 PM Singapore time). Marvel and Subway Singapore Present "The Earth's Mightiest Combo" for "Avengers: Age of Ultron"! Subway Singapore's follow-up promotional collaboration with Marvel for "Avengers: Age of Ultron" must be one of the most fun marketing collaborations Red Dot Diva has seen in awhile! The fast food sandwich franchise had first worked with Marvel to promote "Guardians of the Galaxy" last year. All fans need to do is to join a simple contest at Subway's Facebook page, and 200 lucky winners would have the opportunity to be amongst the first to watch the long awaited sequel on April 21, 8 PM at Shaw Lido.! All you need to do is tell Subway in the page link above, what you would do if you are an Avenger, and hashtag your answer with #IfIWereAnAvenger. Also, everyone knows that being a superhero is a tough job, which can make any meta human/ deity/ alien/ mutant very very hungry. Or in the Hulk's case - hangry. And you won't like him with his hangry! Westeros is Coming to Singapore! Game of Thrones S5 Premieres on HBO Asia, April 13! It has been a long long wait for Game of Thrones Season 5, the epic, crazy-popular fantasy series based on the books by George R. R. Martin. 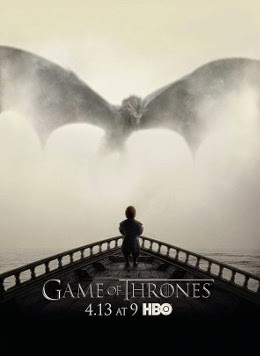 But soon, dear GOT fans, you will get to watch the premiere episode from the new season on HBO Asia. The date to mark your calendars ---- April 13! The last time viewers left Westeros, there had been many shocking twists and turns. For one thing, Tyrion finally gave Papa his just desserts, usually naive Sansa Stark went dark (literally) and sultry - thanks to the creepy urgings of Littlefinger, Arya went off on her own after leaving the Hound to die, Jon makes a pact with Mance Rayder, Daenerys was not having a fun time learning How to Chain your Dragon, while Bran & Co battled ice zombies and finally spot the mysterious Children of the Forest. All of these which left many fans dying for more revelations about our favourite Game of Thrones characters. It won't be long before we will be transported once again to the Land of Westeros, and this will be the first time we will be taken to the opulent Kingdom of Dorne - the domain of the House of Martell and the deadly Sand Snakes. Naturally, this means that new cast members have been added to the show's latest season. The new actors include Jonathan Pryce (the High Sparrow), Alexander Siddig (Doran Martell), DeObia Oparei (Areo Hotah), Keisha Castle-Hughes (Obara Sand), Rosabell Laurenti Sellers (Tyene Sand), Jessica Henwick (Nym Sand), Nell Tiger Free (Myrcella Baratheon) and Toby Sebastian (Trystane Martell). So you love pirate stories? However, if you are the not watching "Black Sails", you're missing out something entertaining on your TV screen. Especially so, if one is tired of cartoonish over-the-top characters and more of "the-same-the-same" from the Pirates of the Caribbean franchise. Cable network Starz' "Black Sails" provides the viewer with smarter mindmaps of each pirate's motivations. 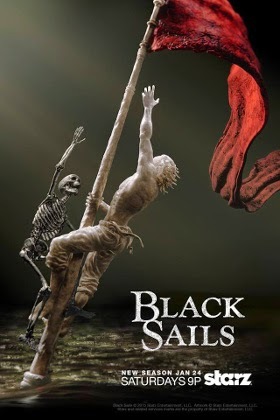 The series, created by Jonathan E. Steinberg and Robert Levine, is mostly about Captain Flint's past, before his famous adventures and the gold he found was regaled in Robert Louise Stevenson's book "Treasure Island". Together with other famous badasses of the sea, like Charles Vane, Calico Jack, Benjamin Hornigold and Anne Bonny, most of the series unravels in the island hangout of Nassau. Red Dot Diva was invited for the series premiere at SDCC two years back, where before it was screened, musician Bear McCreary performed the rousing "Black Sails" theme song with his band. It was awesome. McCreary's theme song as well as the accompanying gorgeously artistic title credits is something to behold on their own. Despite the series being hailed as Michael Bay's high-budget pirate show, Season 1 of "Black Sails" started out slow, like the lull of a low tide, where creatures started to emerge from their little hidey holes to show their true colours. A lot of time was spent on character building but Red Dot Diva assures that it's all worth it, when the series shows that it was not afraid to have one or two of your favourite characters killed off ala GRRM, the action also kicks up several notches toward the end when Flint makes a valiant bid for the Spanish gold.